This post is made possible in part by Rasmussen Travels for setting the trip up. Thank you. Driving home from the previous Utah road trip proved to be quite an adventure. 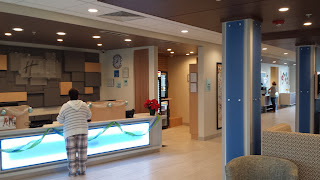 First plug, my wife and I stayed at the same hotel as the trip out west. The recommendation still stands. When we woke up, we awoke to a winter weather warning, so we quickly hit the road again after breakfast as to try and get ahead of the storm. The drive from North Platte all the way to the Mississippi River (roughly 580 miles) was terrible. Ice and wind prevented me from driving faster than 60 MPH the entire way. The speed limit on I-80 in most of rural Nebraska is 80 MPH, and when we were pushed to drive slower than 40, I knew it was time to get off the highway. We got off the highway just east of Kearney, NE, and stopped at the Archway. Boy, are we glad we did. With all the times I have driven west and back and passing under the Archway that goes over the highway, I have always wanted to stop and give it a look, and the poor weather provided us that time. I am extremely grateful for their hospitality. The Archway is a museum that tells the story of the westward expansion of the American people, and also the growth of technology that connected the East to the West. It is a self-guided audio tour showcasing 1830's through 1950's. 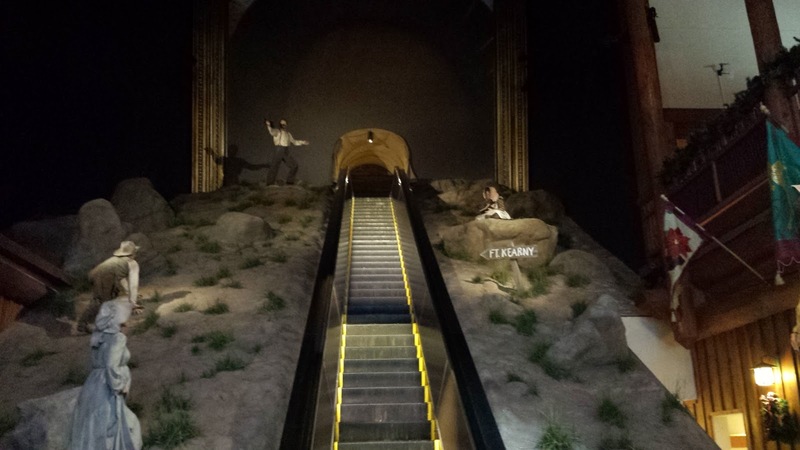 When you first walk in, you are greeted with an escalator that led up through a mural of the western landscape. The escalator was flanked on both sides by faux rocks and ground, and mannequins of people also "climbing" towards the top of the stairs. Note on the mannequins found throughout the museum: the faces are recreated off of photographs from the era they portray, so they are actual people. They were built by the Disney animatronics builders, and throughout the stay, I half expected them to move like the Disney animatronics. This was confirmed by one of the volunteers after I had gone through the archway. Past the mural was a recreation of Fort Kearny, an important stop on the voyage west, and the conjunction of the Oregon, Mormon, and California Trails. Here, the emigrants rested and restocked before taking off towards the western wilderness. Next room consists of three stories, one story for each of the three trails as they converge, heading towards their respective destinations. 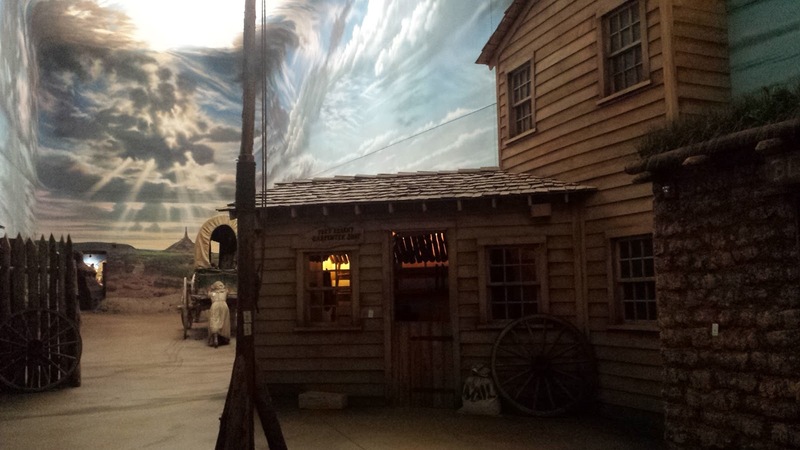 Oregon trail emigrants were on a mural. After that, you pass into a room portraying the building of the trans-continental railroad, the Pony Express, and the telegraph. Also, you hear of the telegraph that told the West of the Civil War. 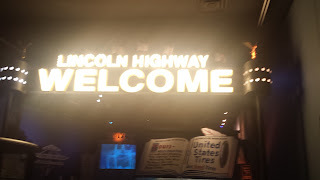 Up the stairs, and you are greeted with the passing of technology to automobiles, and an introduction to the Lincoln Highway. Here, you see tourist camp grounds, drive-ins, and a diner. After this exhibit, you take the escalator back down to the lobby, where you can buy from the gift shop or pick up information on even more Nebraska tourist information. This is a gem hidden in plain sight. I am quite happy that the weather forced us in. It has given me inspiration for future trips that I wish to report. Give yourself the much needed rest from driving, take an hour or more (we were there for almost 2 hours), and enjoy this treasure. 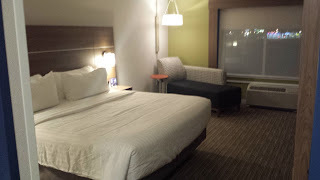 My wife and I had to take a last minute trip back to Salt Lake City, and since that is a 22+ hour drive from our home, we had to stay in a hotel overnight half way between. We chose to stay at a Holiday Inn Express in Ogallala, Nebraska. It was a new hotel, and built in a modern ascetic. 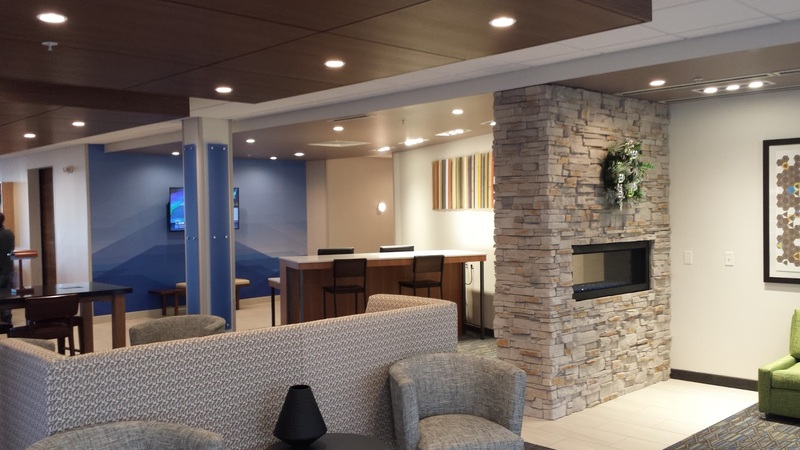 Outside, it looked like a regular Holiday Inn Express, but the lobby definitely did not. The desk, and most the lobby, had minimalist lines and designs. The room was sleek and modern. I especially enjoyed that there was a lounge in the room. Standard 1 king size bedroom. Lounge in the background. View from the room door. The staff was friendly, the breakfast was much needed, the rest provided was amazing. This stay was exactly the quality I expect from a Holiday Inn, and the convenience I expect from a Holiday Inn Express. I look forward to staying again next week heading back home, and I recommend it to any I-80 traveller.